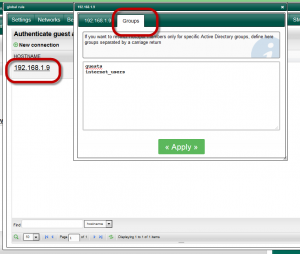 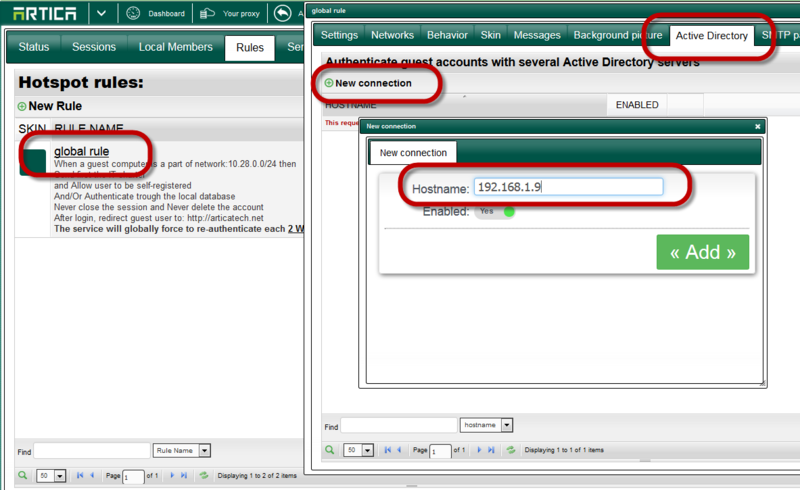 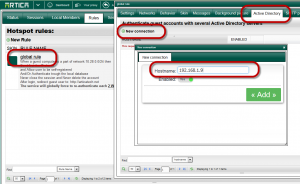 To authenticate users trough Active Directory, you have to define an HotSpot rule. 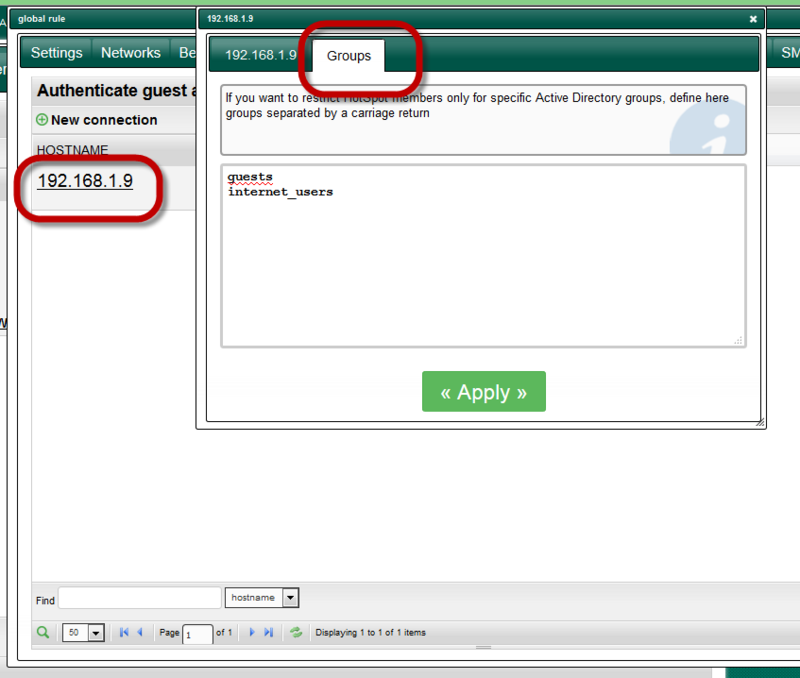 If you want to restrict Authenticated guests to some Active Directory groups, select the Groups tab and add the group names in the text area. 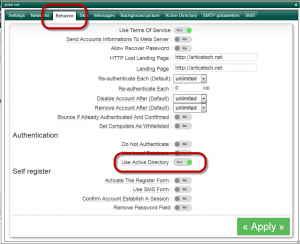 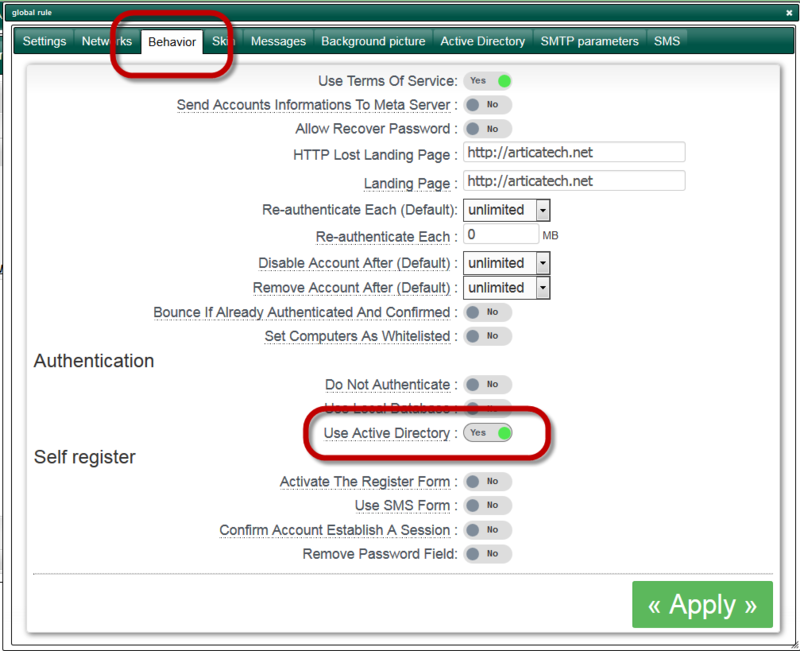 Turn on the Use Active Directory in the Authentication section.